Malaysia pulls back from the brink, again – but it should not rely on riding its luck. It always seems to take the worst to bring out the best in people. Days after a rash of attacks on churches in Malaysia last weekend, the country’s politicians and community leaders were quick to denounce the violence and come together in joint worships and inter-faith dialogues. Still, the situation in Malaysia is uncommonly grave. Since 8th January a spate of nine attacks on churches has been reported, ranging from rocks being hurled to fire-bombings in the more serious instances. What was worrying was the breath of their localities, spanning the breadth of peninsular Malaysia and even the usually quiescent eastern states, compounded by the police’s seeming haplessness in preventing the attacks. The worst seems to be over for the moment, with the tense situation having concentrated minds within the government. 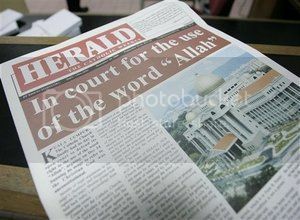 It had been sparked off by a court ruling on 31st December 2009 allowing the Herald, a local Catholic paper, to use the word “Allah” (a term many Muslim Malaysians had hitherto assumed was exclusive to Islam) in a Christian context. The Barisan Nasional government, fearing that allowing this to pass would alienate its core Malay-Muslim vote, had initially openly opposed the ruling and promised to appeal. This was followed by a serious misstep from the Home Minister when he appeared to condone protests against the court judgment during one of his media interviews. Elements of the United Malays National Organisation (UMNO), which dominates the ruling coalition, were said to be trying to organise such protests. After the attacks the government swiftly changed tack, with the police stepping up security at churches and the Home Minister threatening to use the draconian Internal Security Act on perpetrators of the attacks. Nevertheless, the atmosphere is likely to remain rancorous for some time. The 31st December ruling, which on one hand is a rather remarkable triumph for religious pluralism, would probably be seen instead by conservative forces as a dangerous concession to the minorities. These elements – which are embodied in the current government – would like to push for a return to the previous status quo, but that will seriously annoy the minorities. Religion and race are deeply intertwined in Malaysia: most Malays identify themselves by their Muslim identities and the majority of Christians happen to be ethnic Chinese or one of the other minorities in the country. The Herald issue had allowed UMNO to appeal to its constituency by positioning itself as a defender of the Islamic faith and playing up fears of proselytization. The Home Ministry subsequently spent several years trying to pressure the obstinate Herald to drop the use of the term “Allah”. Such politicisation of race and religion is endemic in the Malaysian system and is unlikely to change anytime soon, even in the event of a new government, given that the opposition is just as riven by ethnic and religious issues as the Barisan Nasional. However, it is easy to lose sight of how, for a country with such well-worn fault-lines, it has held together with remarkable resilience in the face of fissiparous pressures. Still, Malaysians should no longer take such fortitude for granted. 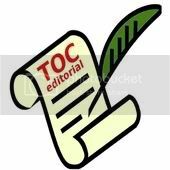 It is time for the country to begin a serious and mature dialogue to heal its internal divisions, rather than to continue to paper over the cracks in its system.